If you are making a general enquiry, you are welcome to either send me an email – anniegreenacre@hotmail.co.uk or call me on 01752 894097. If you are telephoning, please bear in mind that you might be met by my answerphone. However, leave a message – I will reply as soon as I am able. Interested? How do you start? The first step is to arrange an appointment with me. This initial meeting is an opportunity for us to meet and explore the kind of help you might be seeking – and whether it matches what I am able to offer. It is important that you feel right about your choice of therapist. I will support you in this process and, if necessary, can refer you to one of my colleagues. If you decide you would like to continue, we would mutually agree on the details. The work usually takes place for one hour each week, for an agreed initial period – this gives you the opportunity to experience the essence of the work. A review at the conclusion of this initial period then enables us to discuss how we may move forward. My practice is located in Ugborough. 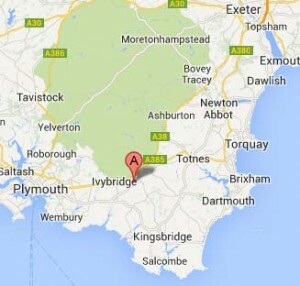 Ugborough is a quiet village just two miles off the A38, nine miles from Totnes and 14 miles from Plymouth. Parking is free in the village square.